This timeless winter jacket inspires images of Swiss chalets and ski patrols, though it has enough modern features to look at home at any of today's world-class mountains. Descente smartly designed this ski jacket to perform in the harshest conditions, thanks to a class-leading 20K waterproofing/breathability rating, 100G Thinsulate insulation, and Heat Navi technology, which keeps you warm even in overcast and snowy conditions. The Layla jacket also an elegant ski village-vibe, thanks to appealing color options and a removable real raccoon fur element on the hood. Real raccoon fur detailing is removable and adds a posh feel. Heat Navi technology traps the sun's rays, even in overcast conditions. 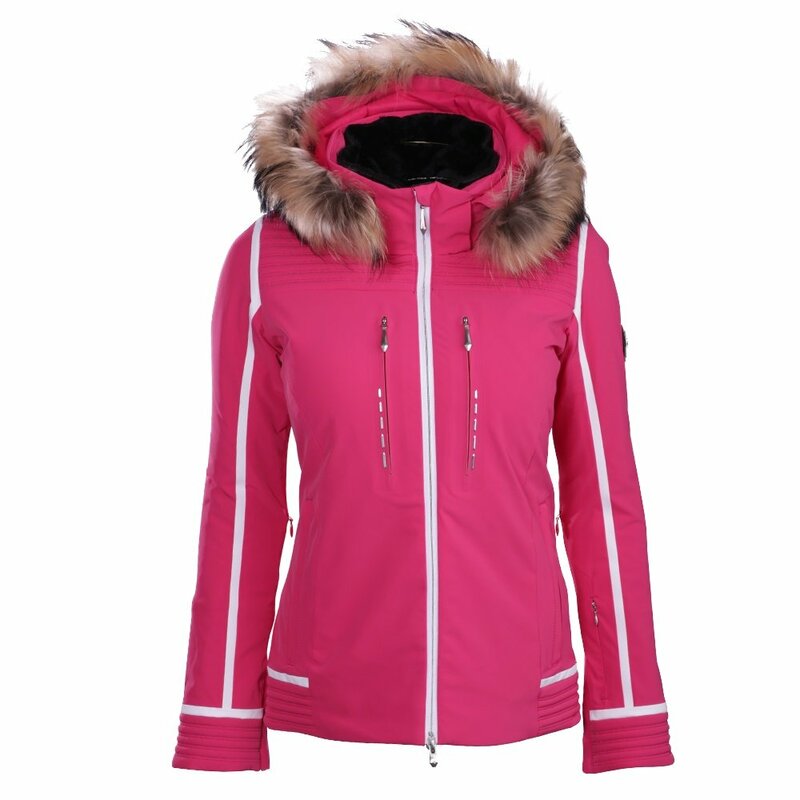 A sleek and classic ski jacket design ensures this luxury piece will be stylish for years to come.